Those with a studio apartment are often lucky enough to have a roof terrace designed by a company like Longmont roofers. However most people have no idea of how they can use the various roof terrace design ideas to decorate in a creative way. 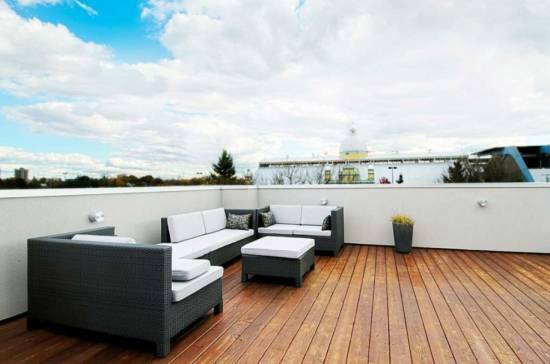 What is interesting is that you can customize a roof terrace for many purposes. It can be used as a peaceful sanctuary for relaxing after a hard day’s work or can also be turned into the ultimate entertainment zone. 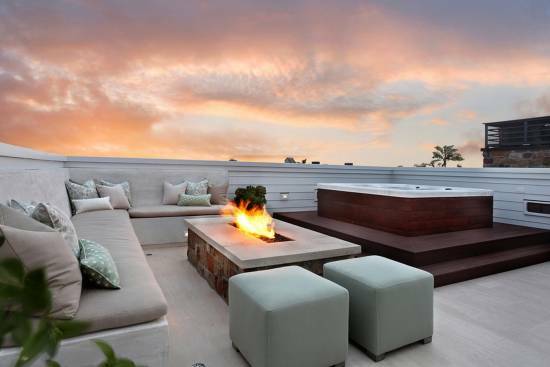 Following are the 15 ultimate roof terrace design ideas which are sure to appeal to just about anyone. Depending upon where you live and the kind of climate of your country you can use these ideas accordingly. This charming roof top terrace has customized flooring and the quaint little cane swing makes it appear all the more appealing. Imagine having a lazy Sunday swinging on the roof and watching the world go by from a great height. 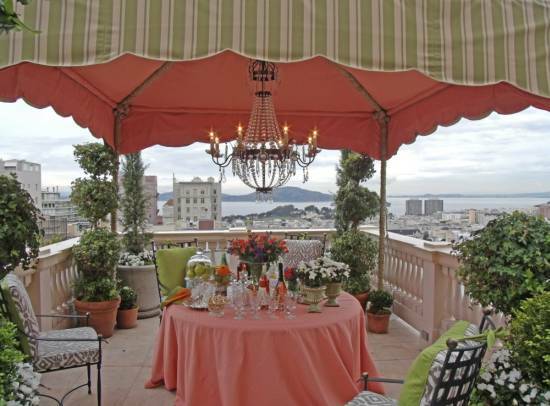 Check out this classy roof terrace with its pagoda tent, hanging chandelier and a romantic table for four. Ideal for those who would like to have a romantic night out under the stars, this idea is certainly innovative and inspirational! Nature brings a sense of peace and quiet with itself. 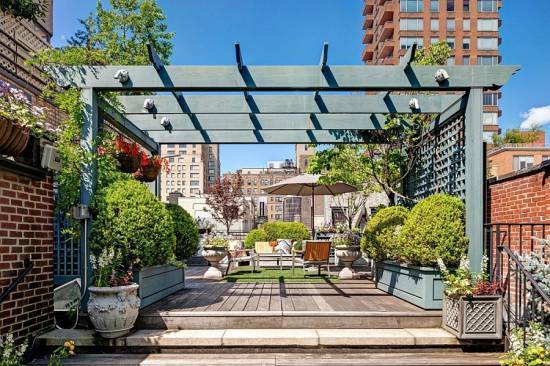 This roof terrace with its natural beauty and foliage is a great way to relax on a lazy day off from work. The rustic looking floor and the sun lounger are in synchrony with the natural elements and add a distinctive touch of unpretentious and genuine beauty! This roof terrace is designed by the use of natural elements like pebbles and stones. 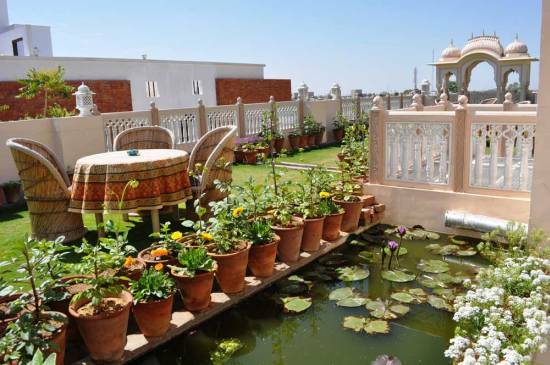 The intricately designed pebble work offers this roof terrace a quaint and charming look. The garden wall sculpture is also quite classy and adds to the overall aesthetic appeal. It’s a good idea for those who like having frequent BBQ’s with family and friends. 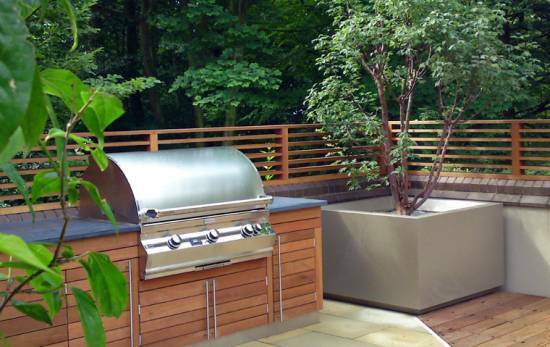 This built in BBQ on the roof terrace would be a welcome addition for families who like having a great time enjoying grilled food. The customized floor and the built in BBQ look brilliant together. This quaint simple roof terrace with its built in swimming pool and simplistic design is a statement in minimalism. A great way to enjoy all your evenings lazing around the pool or watching the sky in all its splendor while relaxing on the sun loungers. 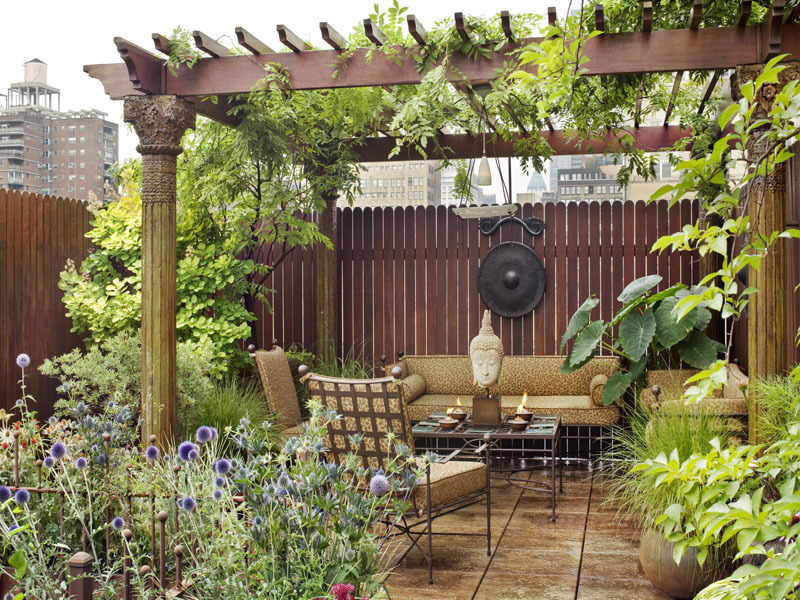 This is also a great roof terrace design idea with its lovely garden and huge shade. It gives the appearance of the great outdoors and is a real pleasure to look at. For those who like reveling in nature this is indeed an idea to be inspired with. Ever wondered what it would be like to bathe under the stars every evening. 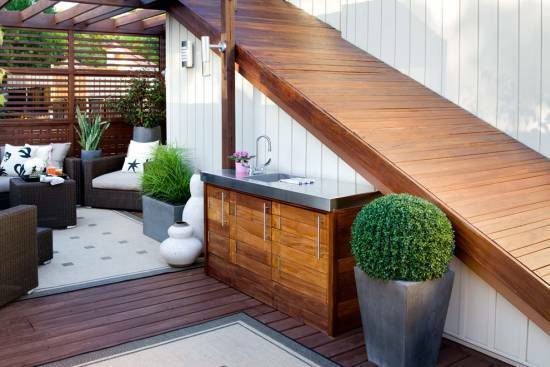 For those who love a little bit of indulgence this is a great roof terrace idea. 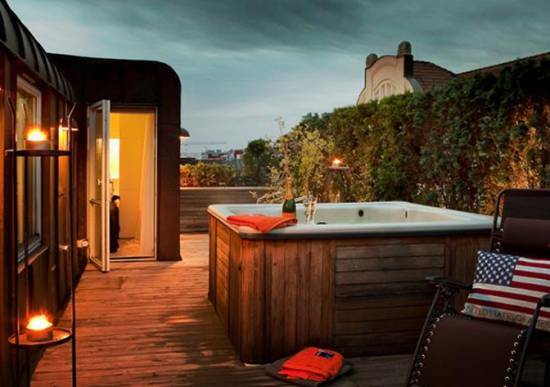 Check out the bottle of wine resting besides the tub, it’s a great retreat for the couple who loves to spend romantic evenings together. For those who love the clutter free look of minimalistic design, this roof terrace furniture with its low height and simple classic lines adds a great ambiance to any roof top. Check out the lights attached to the wall and the customized floor which add to the starkness and simplicity of the roof terrace. This is a great idea for those living in a climate which is normally cool in the evenings, it is a great way of adding some warmth and relaxing on the roof as well. Check out the marbled countertop resting on the stone pedestal and the basic seating arrangement. This evokes a look of old age glamor and is also aesthetically appealing. Check out the lovely pergola on this roof terrace and the classy furniture which is completely synchronized with it. The beautiful sofa set with the lovely light decoration adds a great deal of glamor to this lovely roof terrace. Also check out the sculpture placed artfully on the small table. 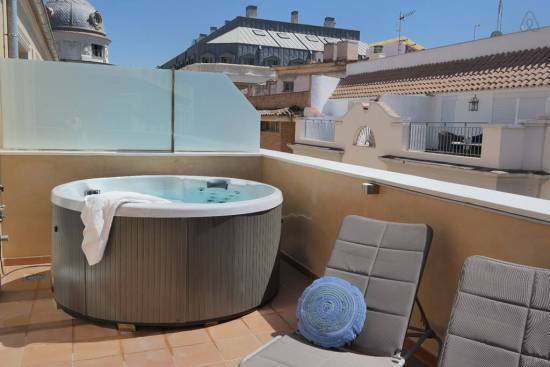 Take a look at this exquisitely designed roof terrace with built in sink and cabinets. The classy furniture makes it look all the more appealing while the potted plants add to its overall aesthetic appeal. 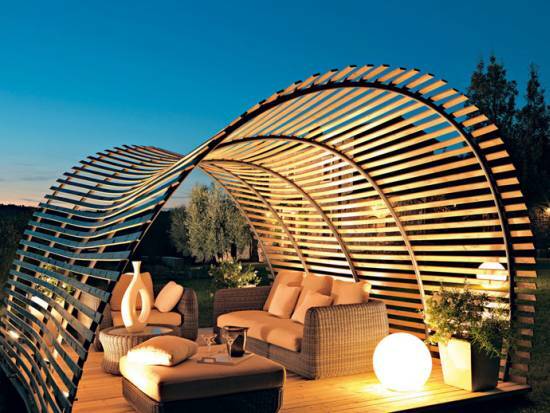 This modern day roof terrace design is certainly breath taking to look at. It’s completely modern yet simplistic with its sun lounger and the bathtub on the other hand adds to its romantic appeal. It’s a great roof terrace design for those who like simplicity and elegance in their everyday living. For those who still reminisce about the days of their childhood when listening to fairy tales was their favorite past time, this lovely archaic garden brings back all those old memories. The beautiful flowers growing on this roof terrace garden along with the pond with lilies evokes an aura of enchantment. 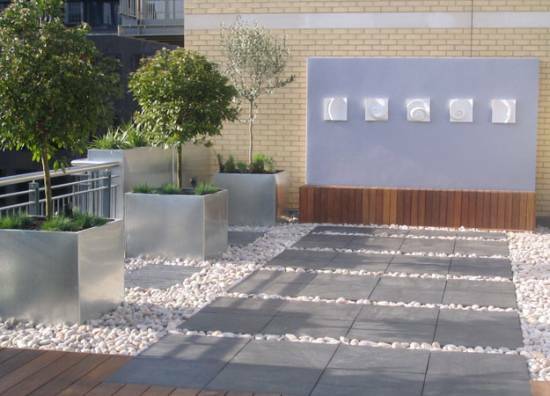 The Zen style of this amazing eastern roof terrace is a truly inspiring way of designing your roof terrace. For those who would like to be in harmony with their inner elements this idea is something which would work tremendously well. The clay statue of the Buddha surrounded by the flickering candles is a great way of adding an eastern touch to your roof terrace. 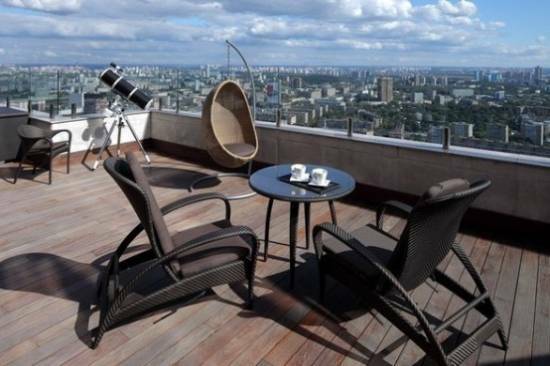 So whether you are a romantic at heart or the eternal optimist, someone who likes minimalism or is in love with nature you can design your own roof top terrace by getting inspired from some of these beautiful roof terrace design ideas. Some of these ideas are pretty basic and require only a keen eye and a bit of creativity, however there are ideas for those who are seeking the ultimate luxury as well. 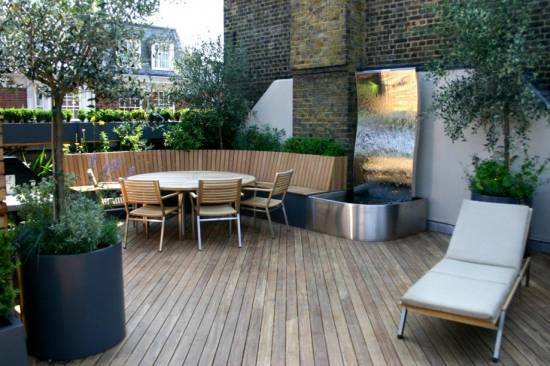 Why think then, go and design your dream roof terrace today!